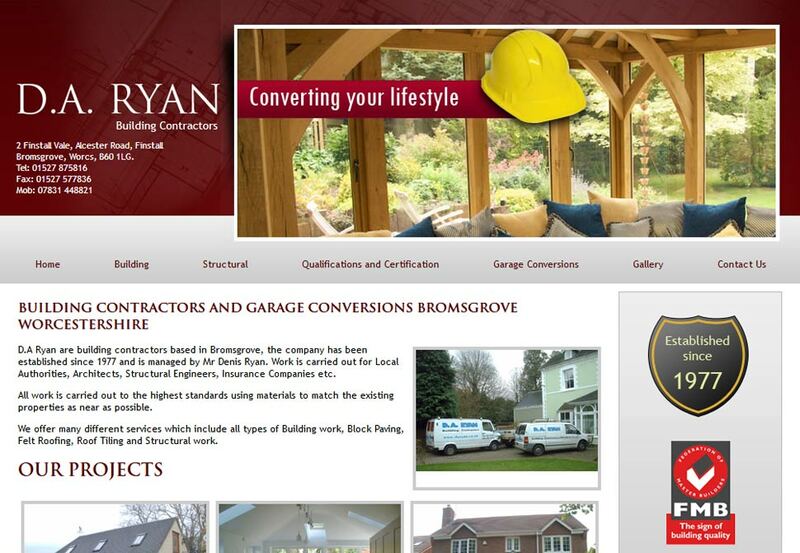 D.A Ryan are building contractors based in Bromsgrove, the company has been established since 1977 and is managed by Mr Denis Ryan. Work is carried out for Local Authorities, Architects, Structural Engineers, Insurance Companies etc. All work is carried out to the highest standards using materials to match the existing properties as near as possible. We offer many different services which include all types of Building work, Block Paving, Felt Roofing, Roof Tiling and Structural work.